Whether you're getting married or not, you'll want to buy one of these. 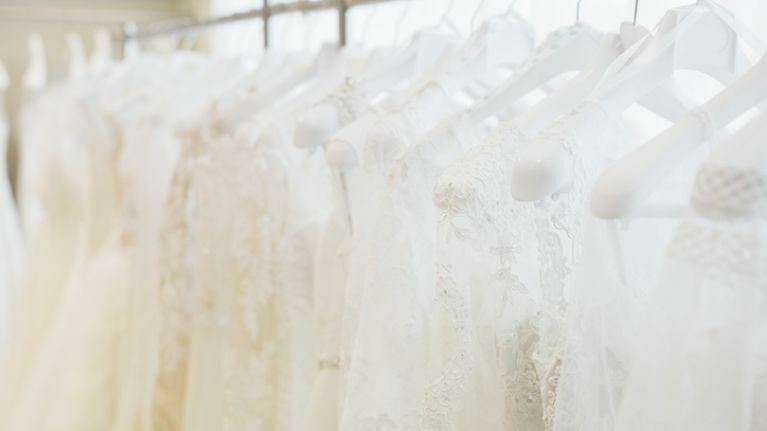 When you think of buying a wedding dress you probably think of a dedicated bridal boutique but as the cost of getting married spirals, more and more brides-to-be are looking for cost-effective options. High street wedding dresses offer lots of choice and, crucially, affordability without compromising on design. 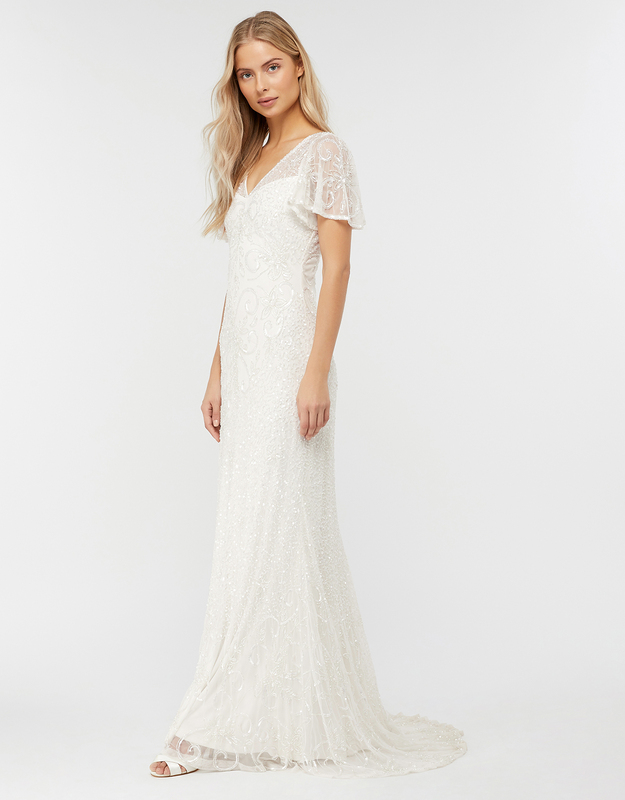 Retailers like Topshop, French Connection, H&M, Ted Baker and ASOS all cater to bridal parties but we always think Monsoon's collections are especially gorgeous. The brand's 2019 spring/ summer collection is divided into three key styles - bohemian, classic and contemporary. There's something for everyone here but with slinky silhouettes, lots of embellishment and lace details aplenty, lots of these dresses are giving us serious Great Gatsby vibes. The pieces look high-end but each dress costs less than €600. Here are our picks from collection. As per the Monsoon website, all prices are given in pound sterling. If you'd rather go the bridal store route for your big day but want to change up your look for later on, an off-the-rack number could make the perfect second dress for your reception. We've reckon that these gowns are especially fitting for partying.